Socialite Ashe skin was revealed Monday ahead of the upcoming Overwatch Storm Rising event. The skin is a throwback to the Overwatch hero's past as a young aristocrat daughter of two wealthy, if absent, parents. For the skin, Ashe swaps out her trail-worn vest and cowboy getup for a pink-forward outfit. She wears white gloves inlaid with gold, sports fur around her collar and even rocks a pink rifle. The highlight of the skin has to be that Blizzard has replaced her dynamite with a designer handbag that explodes. How B.O.B, her omnic companion, will look in the skin remains under wraps for now. Blizzard has previously revealed three legendary skins for Storm Rising, including Gwishin Bastion, High Roller Wrecking Ball, and Deadlock McCree. 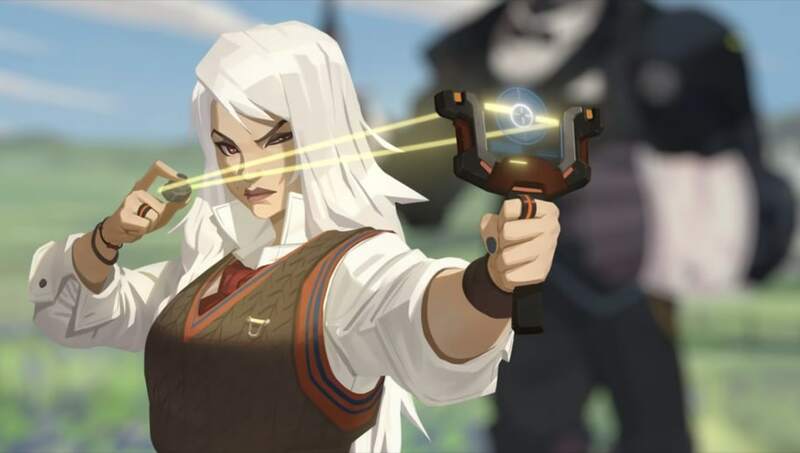 Storm Rising is the newest incarnation of the Overwatch Archives event. It is set to begin Tuesday and continue through May 6.